Creating digital 3D models from photographs isn’t as difficult as it once was. These days, there is software that can do just about all of the work for you. But most of them take some sort of tedious processing and, until now, none have been able to show results instantly. 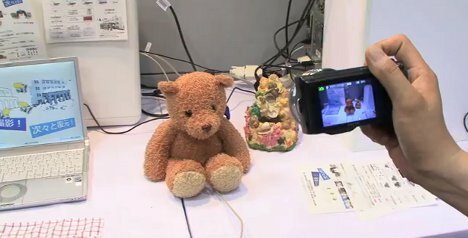 A group of researchers at the Tokyo Institute of Technology has created a system that uses nothing more than images from a regular digital camera to create instant digital 3D models. As seen in the video above, the system works by reading position data from a series of photographs taken of the scene. Using the camera’s shifting positions, the system can figure out where in three dimensional space each of the objects sits. Although the very cool system is under development currently, the researchers don’t seem entirely sure what it can be used for; they are asking for suggestions on possible applications for their creation.